Overview New to lightblue? Start here! Specifications The language and REST specifications for lightblue. 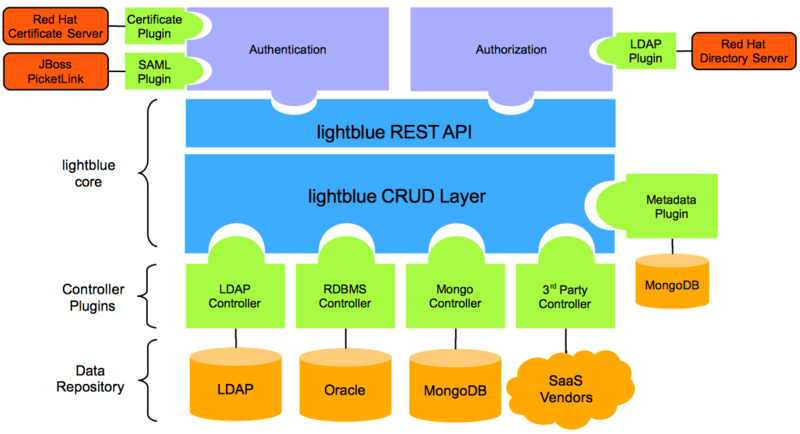 User Guide How to use lightblue including getting started quickly on OpenShift. Developer Manual Want to contribute? Take a look at the other books and then dive into this manual! Cloud focused data services with dynamic querying, versioned schemas, and robust security. 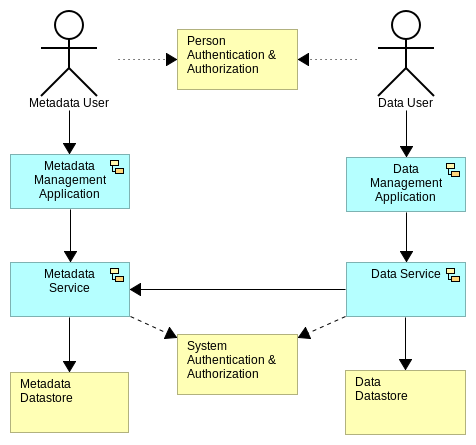 Developing enterprise services for access to data (CRUD) can be deceptively simple. Just write something that gives access to the data you need. Done! The challenge is how do to deal with growth over time and not replicate the data access layer for every component. Why is it so hard to add a new field? Adding a field may break backwards compatibility for clients of a service. Updating all service clients is not easy to schedule. Adding new APIs on the service solves the above problems but leads to sprawling APIs and inconsistency. Can we move our data to MongoDB? Migrating from one type of tech to another is not trivial, such as RDBMS to NoSQL. Moving some proprietary database technologies outside of a traditional datastore can be very costly. Changes in underlying datastore will lead to optimized ways accessing the data. This changes APIs! Why is Information Security so concerned with moving to a cloud provider? When you control your data and application tier hardware it is easy to be lax with security. Moving data and applications off of hardware you control requires robust security. Enabling the move to public API access to even sensitive data requires a lot of rigor. IT budgets are shrinking while business demands continue to rise. Any place cost can be reduced relative to gains is great! How does lightblue benefit developers? One of the time sinks for developers is adding new features for clients of their software. To address this for data access, lightblue provides a robust and very capable API, supports a growing number of datastores, and enables changes to data models without impacting existing clients through the use of versioned metadata. Not seeing a contoller you need? We welcome new implementations and contributions in general! From opening a request for enhancement to writing code, your ideas and help are greatly appricated. How does lightblue benefit operations? One of the challenges with maintaining enterprise applications is ensuring they are always on. When any change to a data structure requires application deployments it requires operations resources and can require outages to execute. With lightblue any changes to a data structure is simply a change to metadata. What about support and development tools? Each of the applications provides access to the corresponding service layer. The point of them is provide a nicer interface to the service layer without having to deal with the service directly. Each application can be secured independent of the service tier, as noted in the diagram. The license of lightblue is GPLv3. See LICENSE in root of project for the full text.